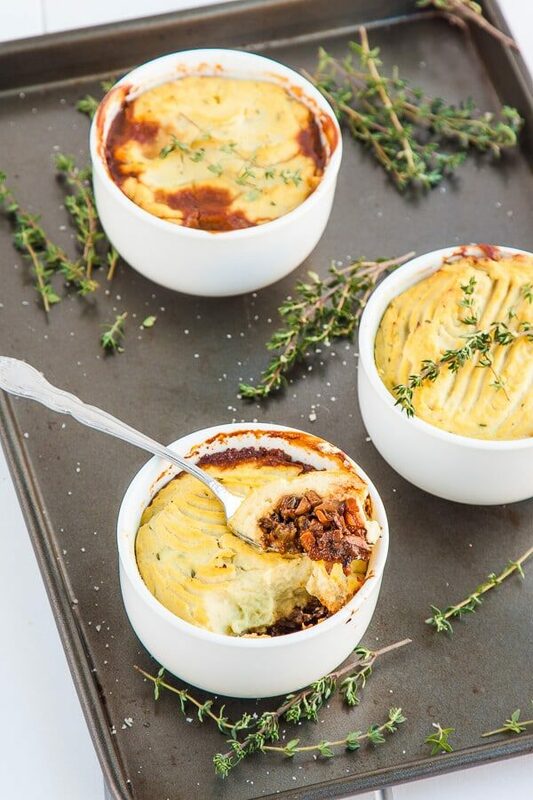 Whether you’re hosting a completely vegetarian Thanksgiving feast or just looking for a few special meatless dishes to complete your menu, you’ve come to the right place! 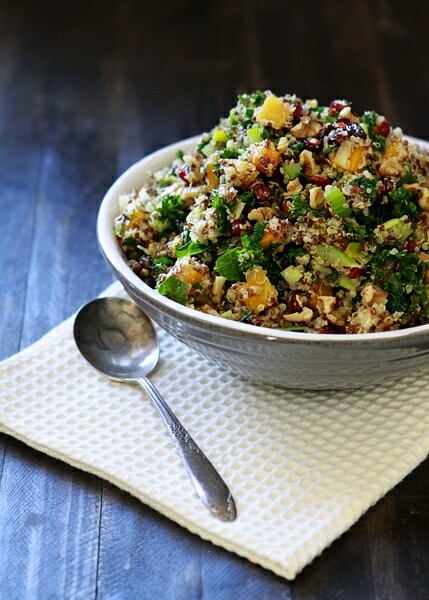 This collection of 37 vegetarian Thanksgiving recipes has something to please every guest. Can you believe Thanksgiving is almost here already? I feel like summer was just yesterday. As I started to pull together my own menu, I thought you all might appreciate a round-up of some of my favorite Thanksgiving-worthy recipes from around the internet. 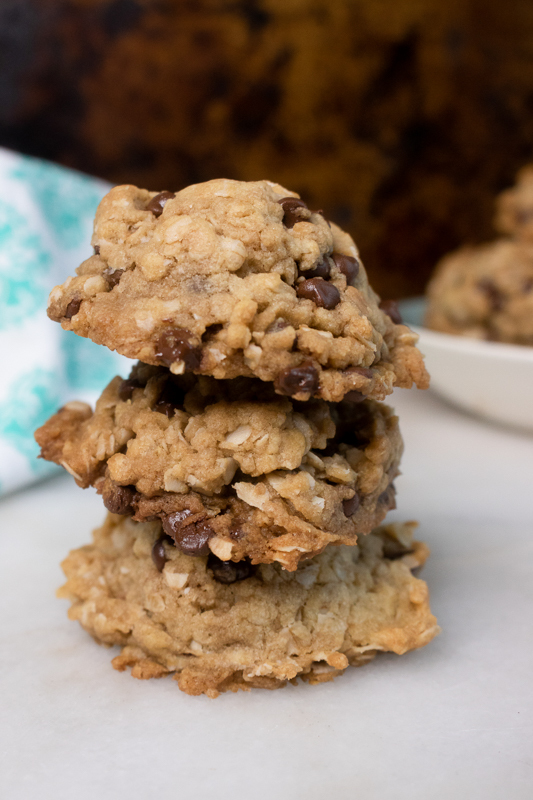 All of the recipes featured here are completely meatless, and many are even 100% vegan! I’ve organized this list into vegetarian main dishes first, followed by side dishes. 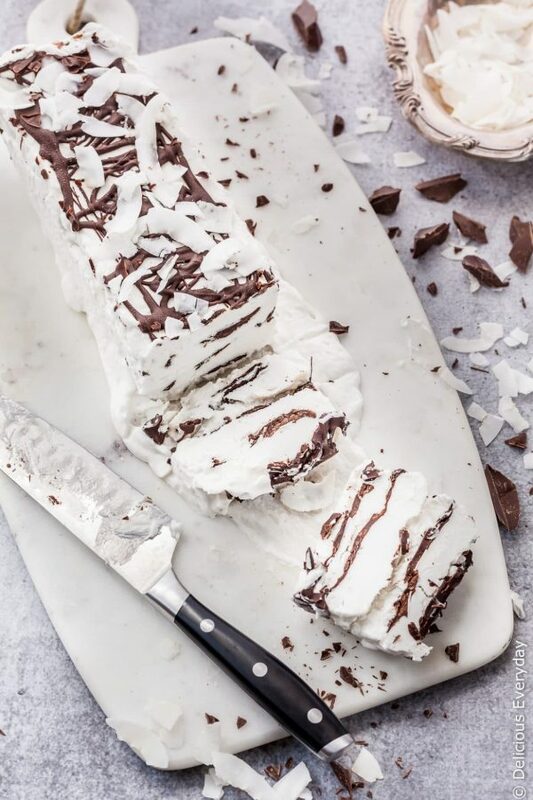 Then comes the desserts – because no celebration is complete without a little something sweet. 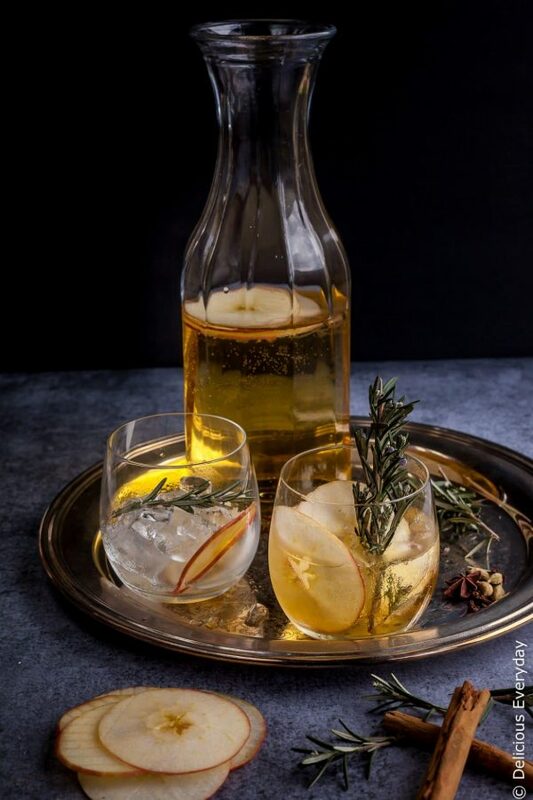 And finally, I’ve included a few Fall cocktails at the end. 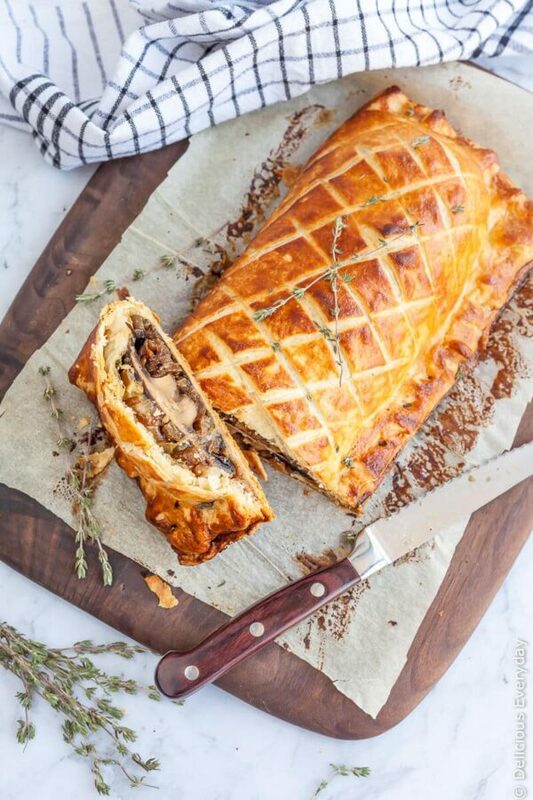 Mushrooms are the star in this beautiful Mushroom Wellington. This is the single most popular vegetarian Thanksgiving recipe on the blog. And it’s actually 100% vegan! 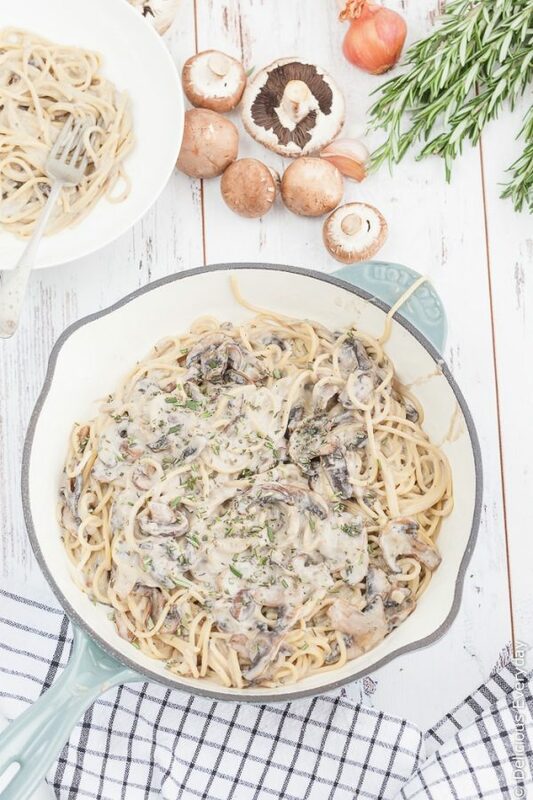 All you need is 15 minutes and a handful of simple ingredients to make this super easy Vegan One Pot Creamy Mushroom Pasta! And with all that Thanksgiving cooking, who doesn’t want a dish you can make in 15 minutes? 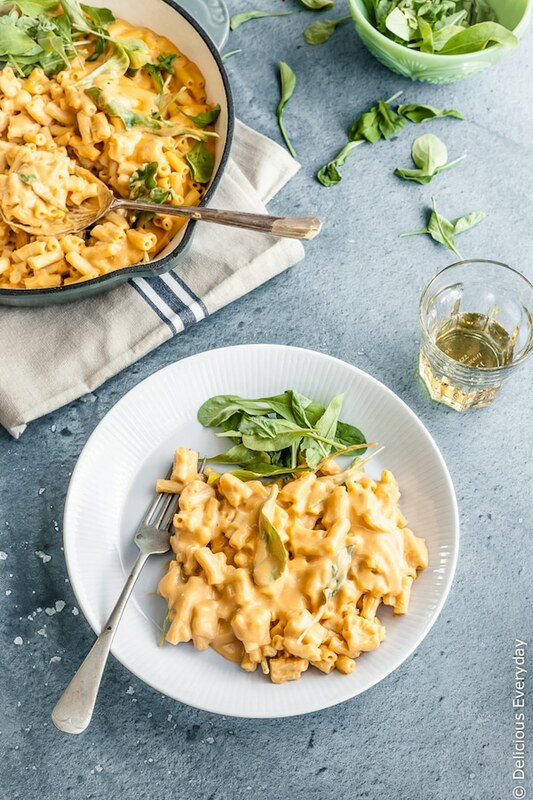 This healthy vegan mac and cheese contains hidden veggies but it is so creamy and delicious that you’d never know. It’s heart enough to be a vegetarian main dish, but you could also serve it as a side. Bonus – the kids will eat it! 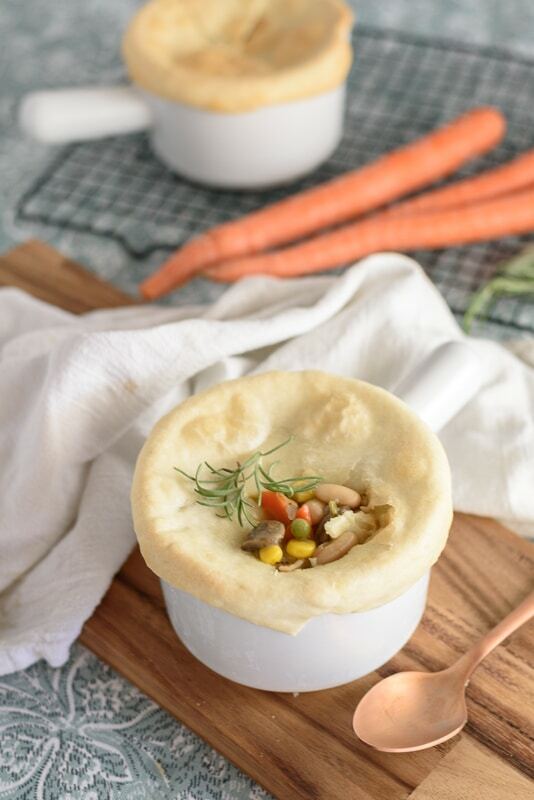 These individual pot pies are loaded with fresh veggies in a creamy sauce and topped with a layer of perfectly flaky pie crust. 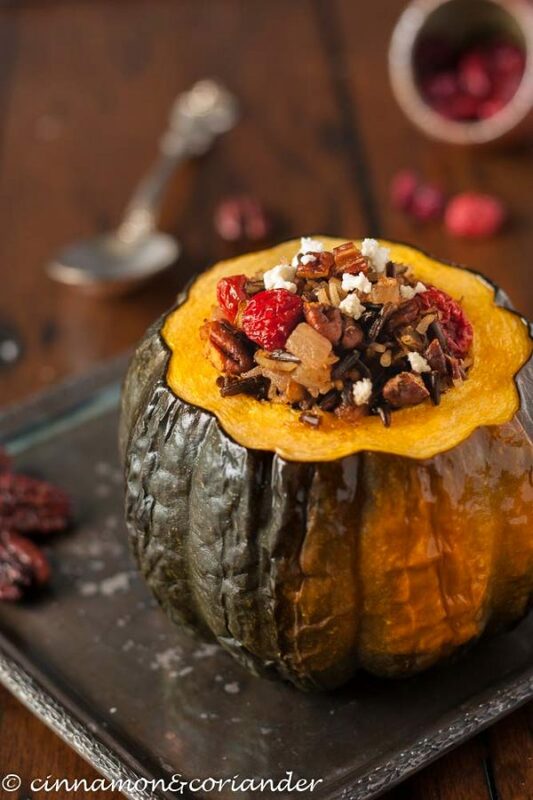 This gorgeous Acorn Squash is stuffed with wild rice, feta, cranberries, and pecans. It’s totally gorgeous, and worthy of being a main dish on the Thanksgiving table. This Roasted Cauliflower Head recipe is bursting with flavor from a homemade tahini sauce, and makes a great meatless main dish for Thanksgiving. 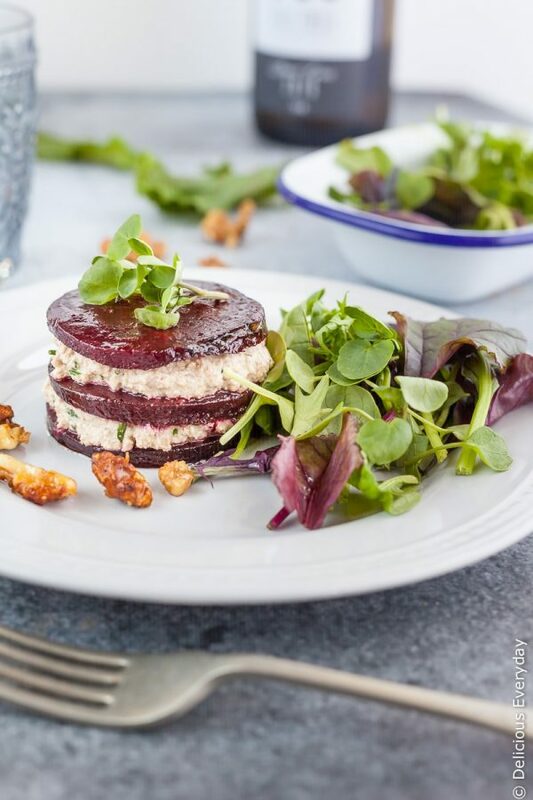 This roasted beetroot napoleon with walnut-chive cream is an elegant vegan-friendly dish. It looks fancy enough to impress your dinner guests, but they couldn’t be simpler to make! 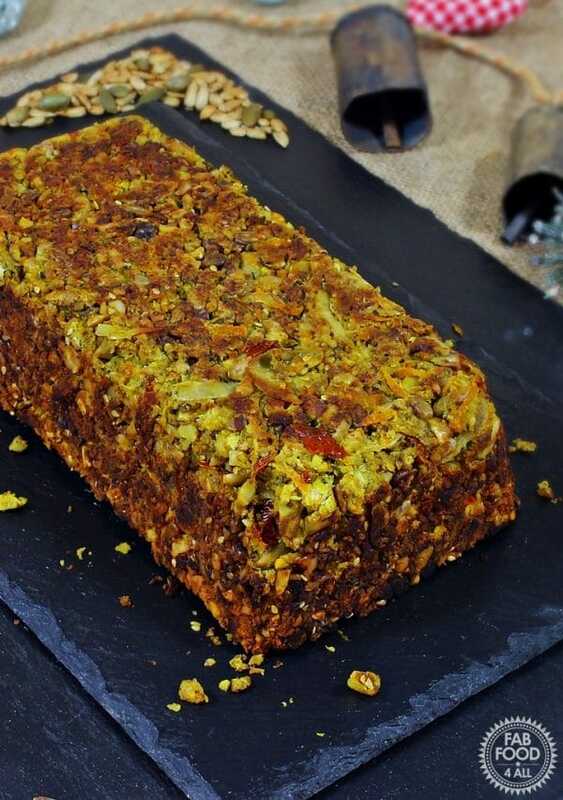 This delicious nut loaf puts the traditional meatloaf to shame. It’s packed with nutritious flavor, and makes a great main dish for a vegetarian Thanksgiving. 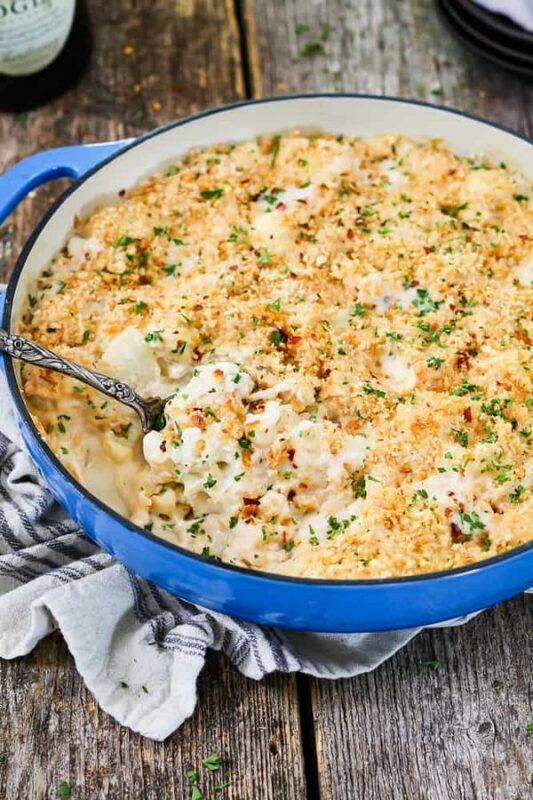 This veggie-loaded Cauliflower Casserole is layered with ooey-gooey cheese, and then topped with buttery breadcrumbs and baked to perfection. 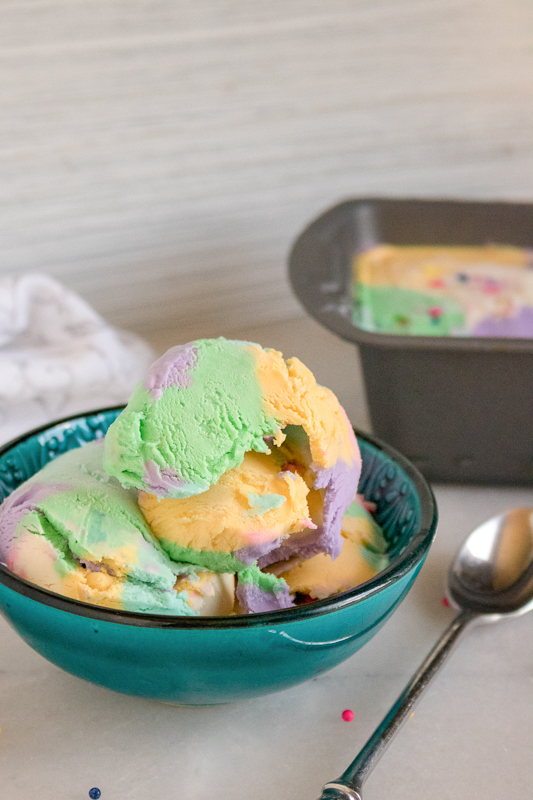 It’s super easy and totally delicious! 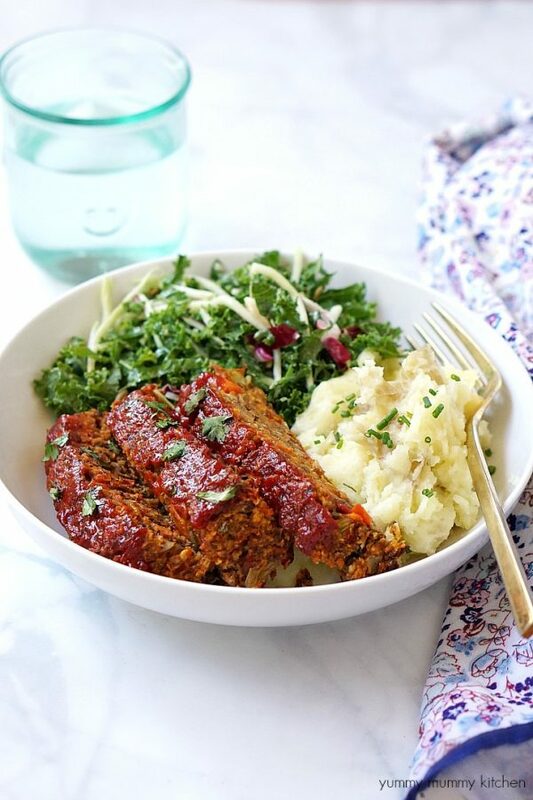 This may just be the prettiest vegetarian meatloaf I’ve seen! This lentil loaf is super easy to make, and stuffed with delicious veggies and nutritious lentils. It’s perfectly suited as a vegetarian Thanksgiving recipe. 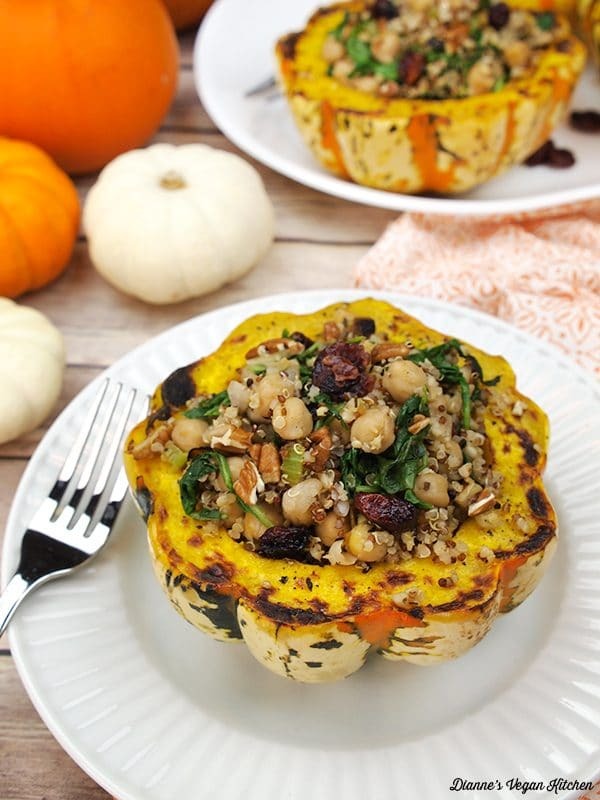 This Quinoa Stuffed Squash is just made to be the star of a Thanksgiving feast! It’s a great vegetarian main dish for either Thanksgiving or Christmas. 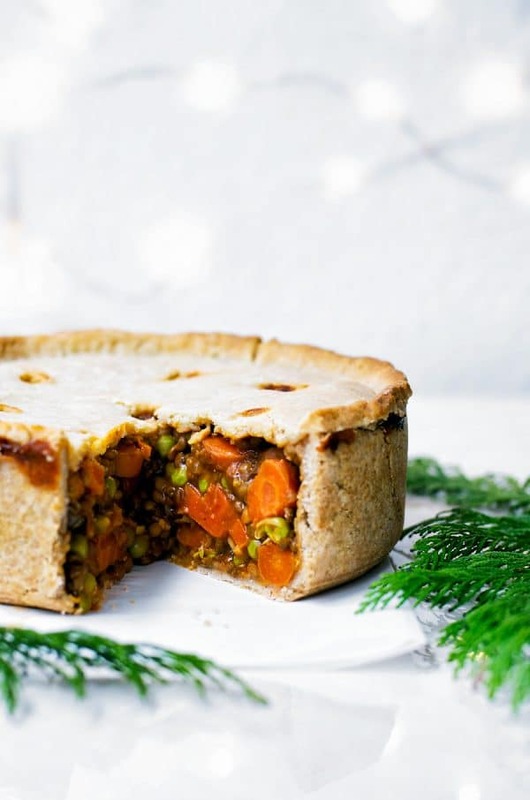 This holiday pie is vegan-friendly. 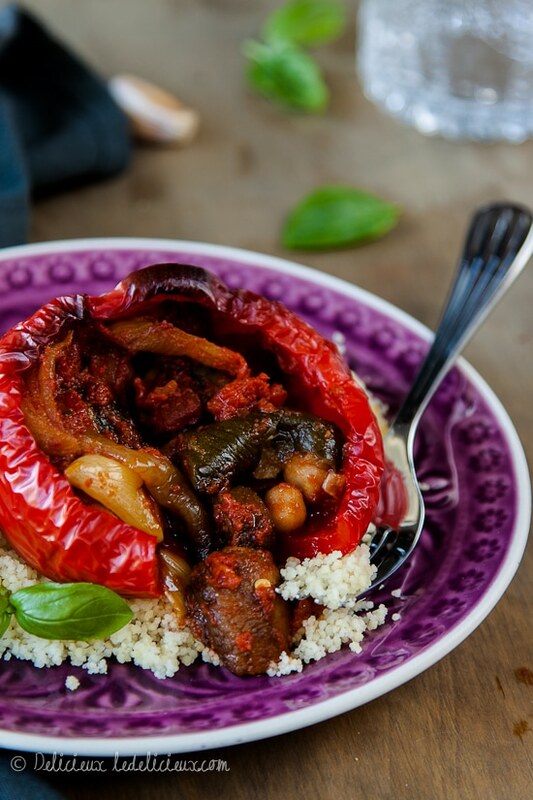 It’s stuffed with lentils, colorful veggies, and wrapped in a vegan pastry. It makes a gorgeous centerpiece for a vegetarian Thanksgiving feast. 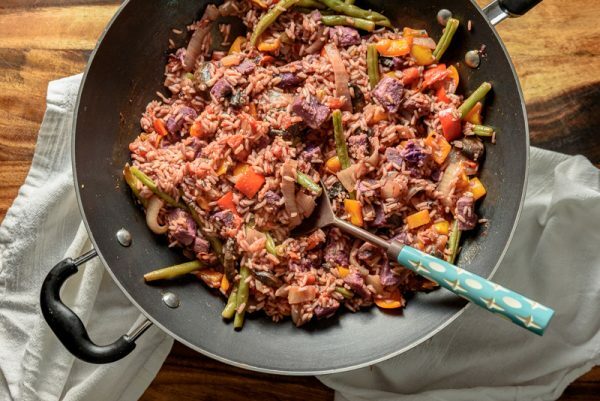 This Vegan Jambalaya is packed with flavor from fresh veggies and tons of spice! Plus, it cooks up in one pot in less than an hour, making it a great choice for a busy day of Thanksgiving cooking. The British classic gets a vegetarian makeover with mushrooms and cauliflower. The result is a hearty low-carb vegetarian Thanksgiving recipe that the whole family will enjoy. Planning on making roast potatoes this Christmas? 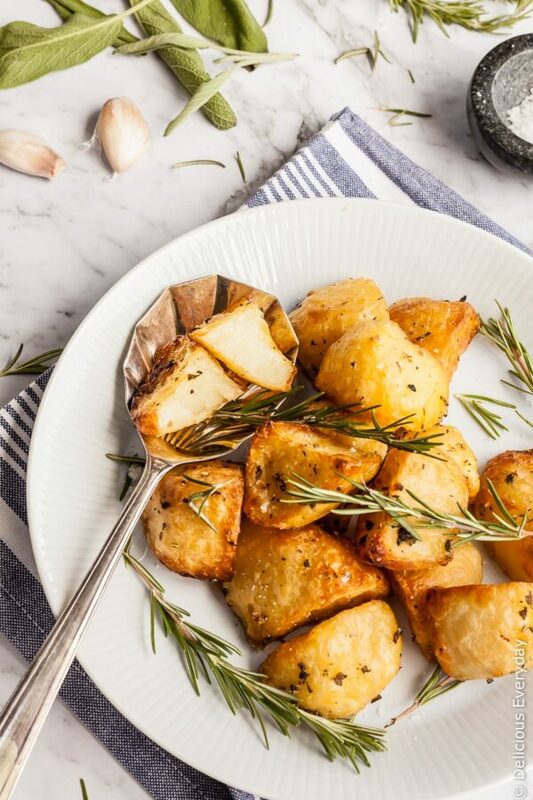 Learn my secrets for these crunchy, golden and crispy roast potatoes with rosemary, sage and garlic. There’s even a how-to cooking video for this one! 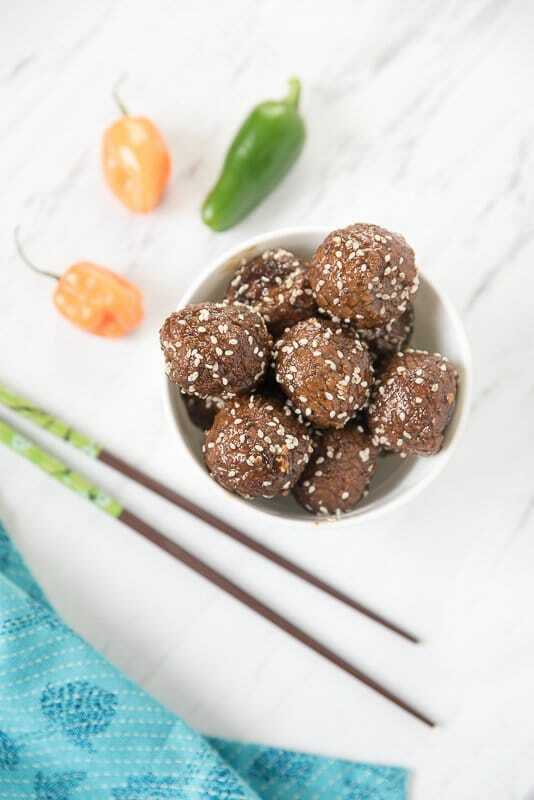 These Meatless Meatballs are dripping in a sweet and spicy Korean glaze, and make a great Thanksgiving side dish or appetizer. They’re packed with the unique flavors of soy, hoisin, ginger, and lemongrass. Plus, they are completely vegetarian and vegan friendly. 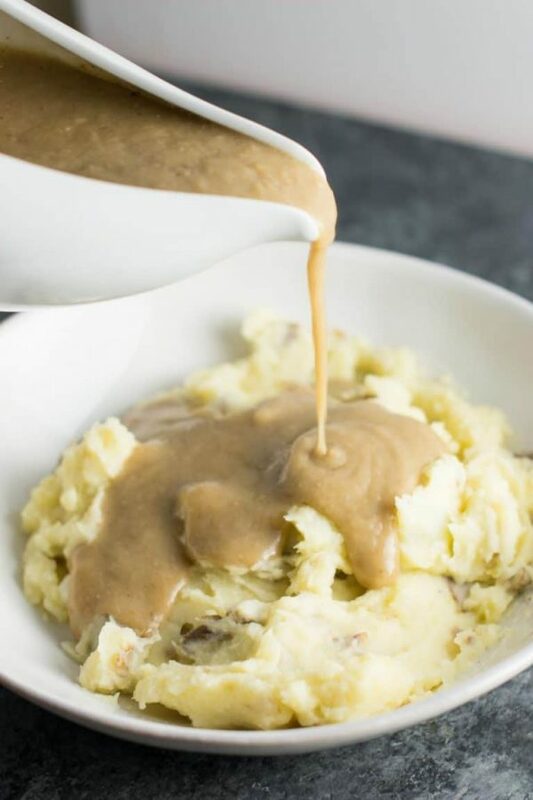 This vegetarian gravy recipe is a must-have for your Thanksgiving table. It’s perfect for pairing with mashed potatoes or one of the incredible vegetarian meatloaf recipes above. 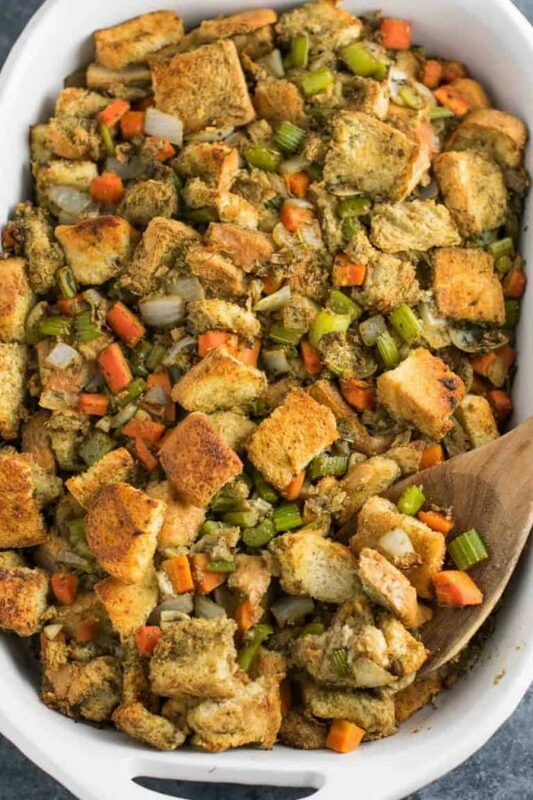 This easy vegan stuffing is packed full of flavor, and doesn’t get mushy like many traditional stuffings. 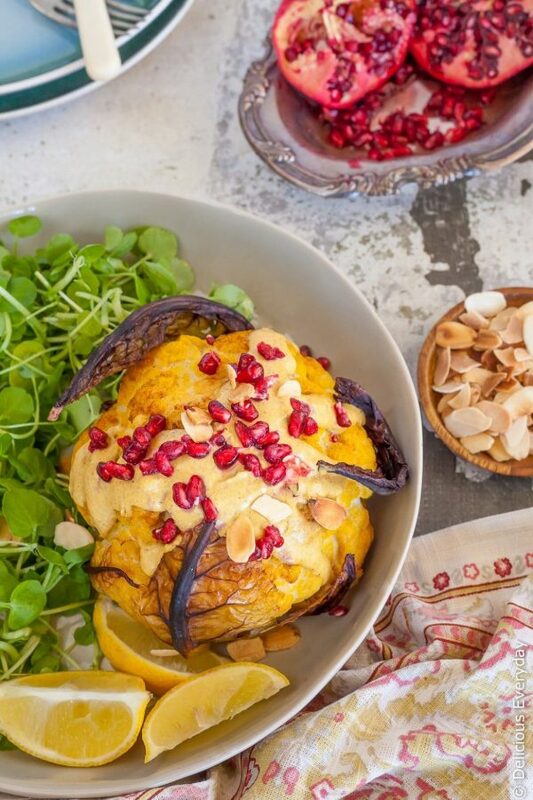 It’s simple to prepare and makes a great vegetarian side dish for Thanksgiving. 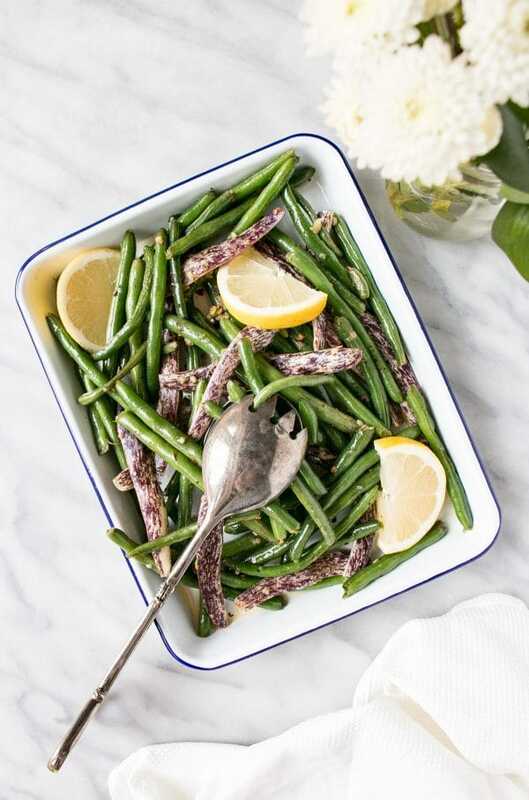 Green beans are a Thanksgiving staple, and these Garlicky Green Beans don’t disappoint! 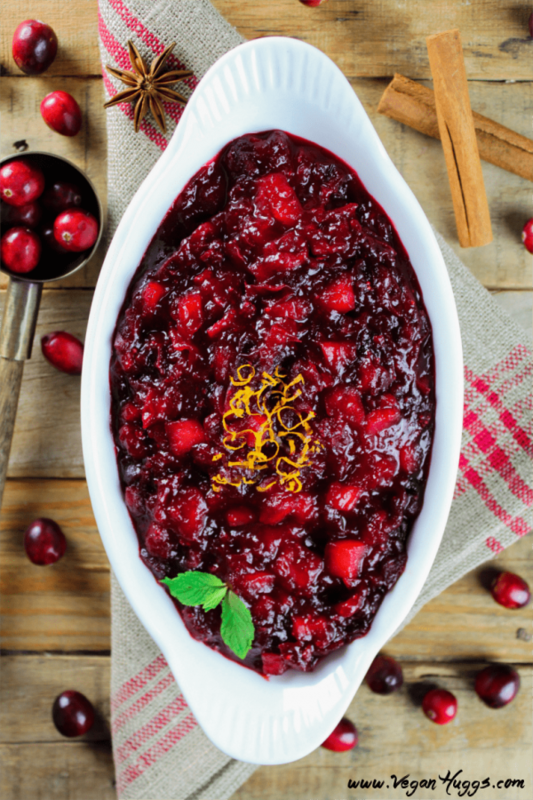 This refreshing pomegranate relish is a great alternative to traditional cranberry sauce at Thanksgiving. 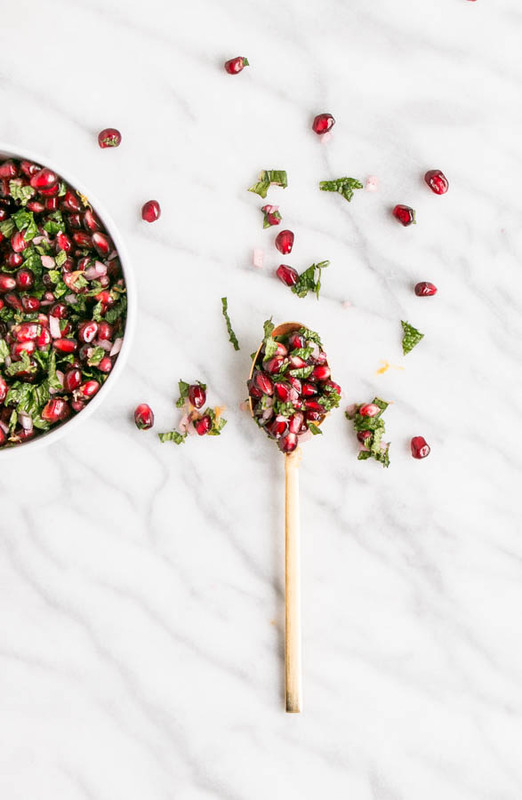 It’s loaded with flavor from crunchy pomegranate seeds, fresh mint, and lemon. 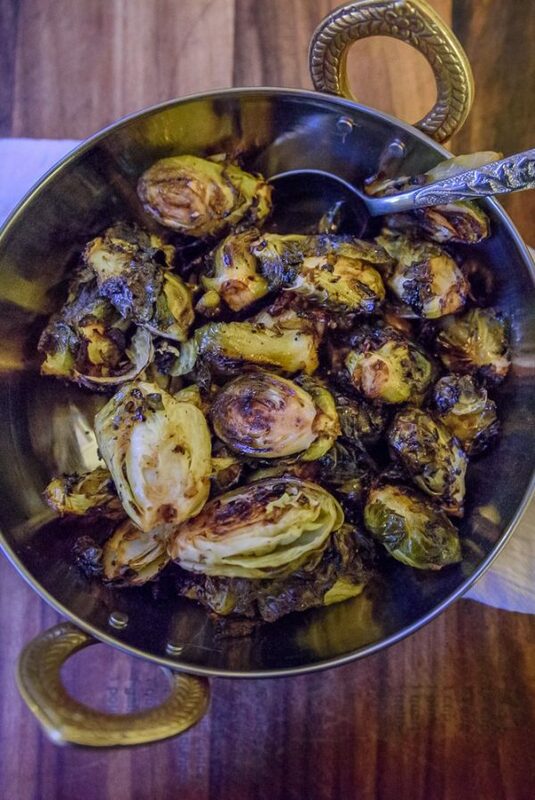 This is my absolute favorite way to eat Brussels Sprouts – loaded with balsamic glaze and roasted in the oven. 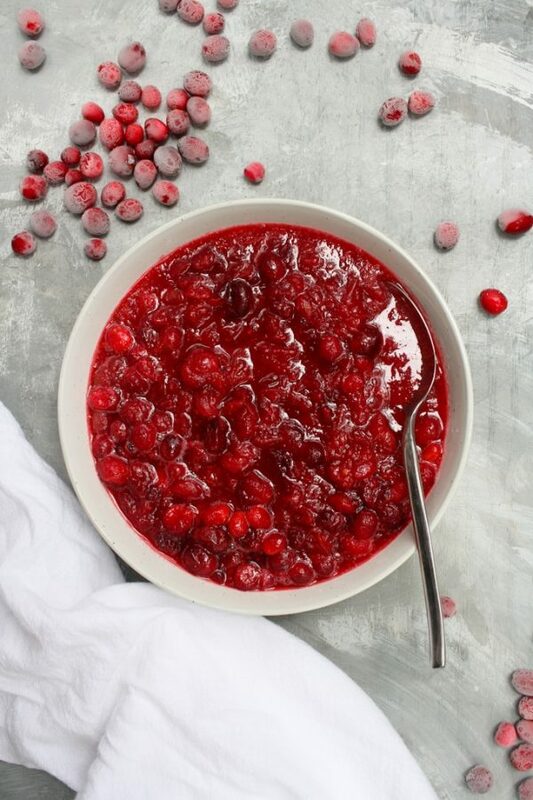 If you want to stick to cranberry sauce for Thanksgiving this Apple Cranberry Sauce is a great little twist on the classic. 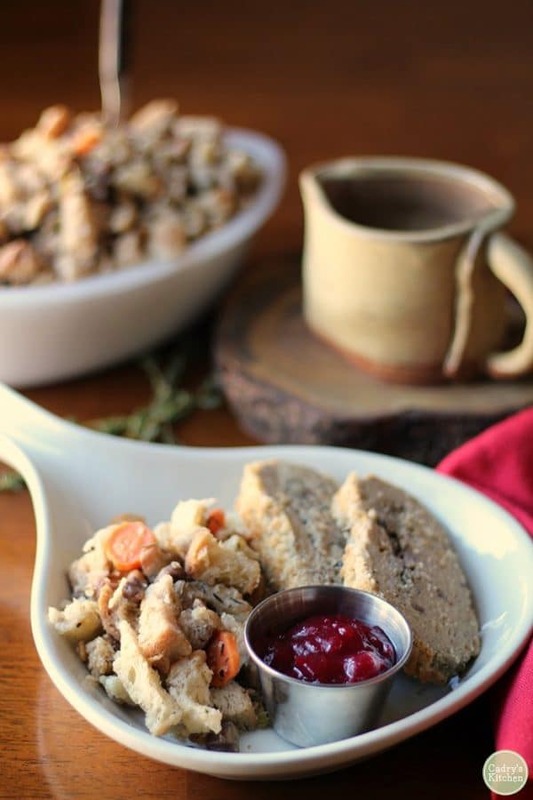 This vegan stuffing is loaded with chestnut flavor, and perfect for pairing with cranberry sauce and a hearty main dish like my vegan mushroom wellington. 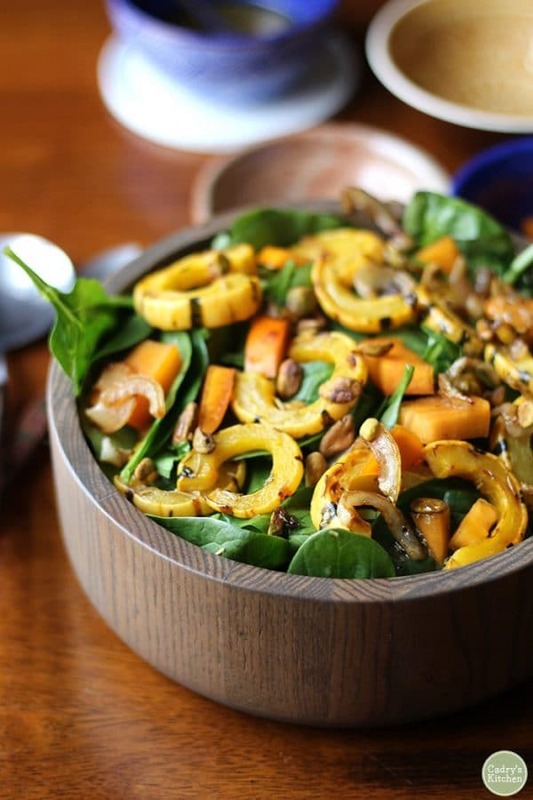 If you’re looking for a beautiful and delicious salad to add to your vegetarian Thanksgiving spread, this delicata squash salad is sure to do the trick! 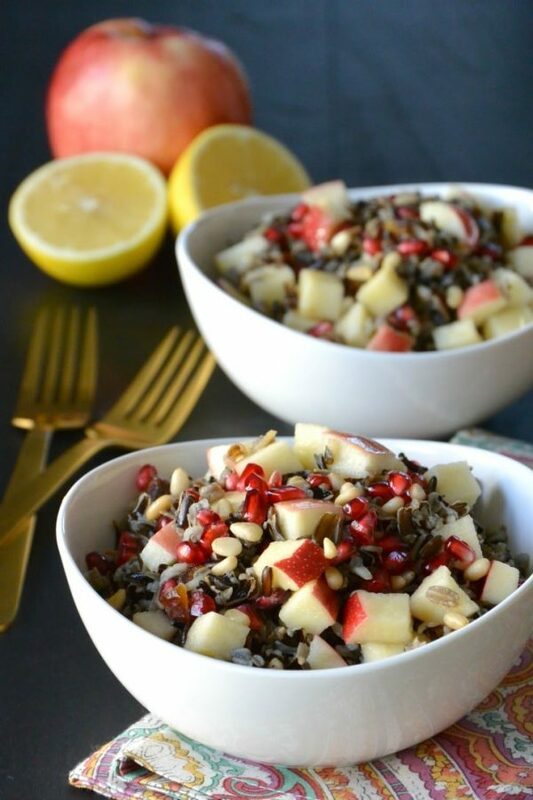 This wild rice salad makes for a filling vegetarian side dish for Thanksgiving. It’s packed with flavor from pine nuts, dates, and a tangy dressing. 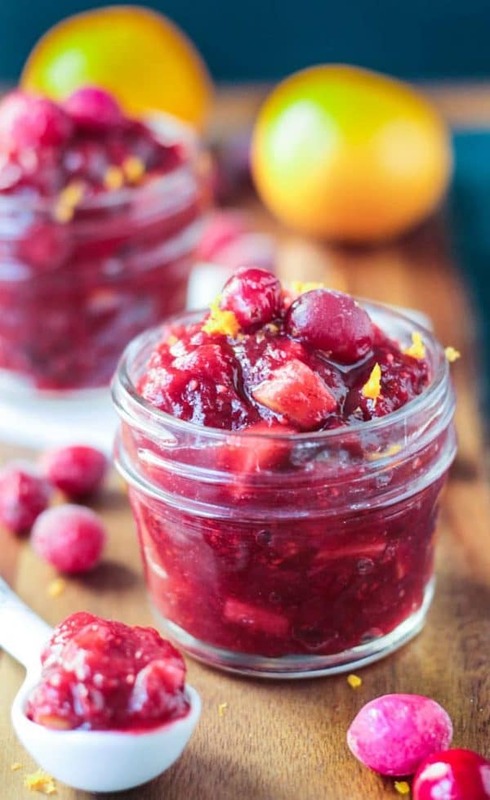 Another incredible alternative to canned cranberry sauce, this Maple Cinnamon Cranberry Pear Sauce is sweet and tangy! 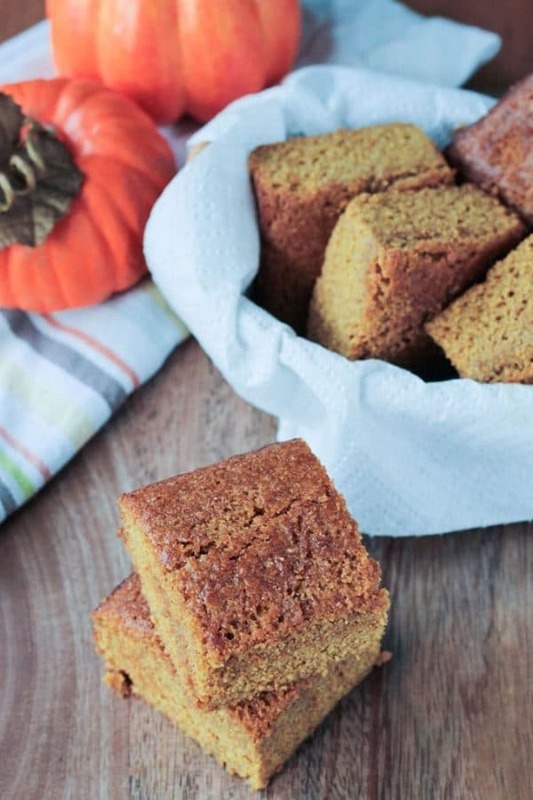 This fun twist on traditional cornbread is moist, sweet, and perfect as a Thanksgiving side. In fact, I bet it would go great with that Cranberry Pear Sauce above. 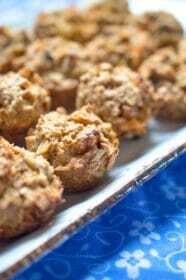 For a healthier take on Thanksiving stuffing, try this vegetarian stuffing which uses protein-rich quinoa instead of bread. 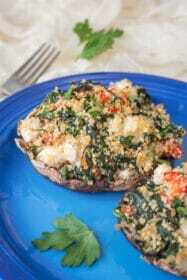 It’s loaded with tasty ingredients like butternut squash and kale. I clearly can’t get enough of the cranberry sauce alternatives. I love the addition of flavorful coconut and ginger in this one! 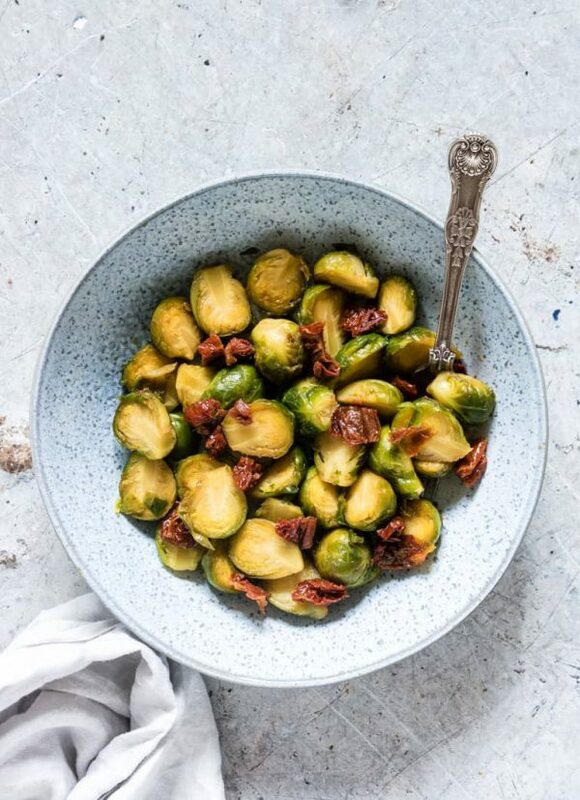 No Thanksgiving feast is complete without Brussel Sprouts. This recipe cooks up easily in the Instant Pot, making it an easy addition to your cooking. 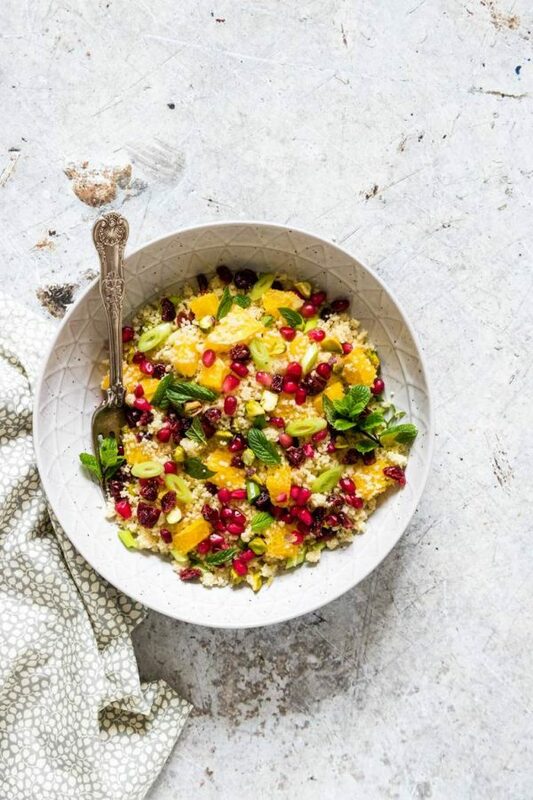 This colorful couscous salad comes together is just 15 minutes, and uses only a handful of ingredients. That makes it a perfect vegetarian Thanksgiving recipe in my book! 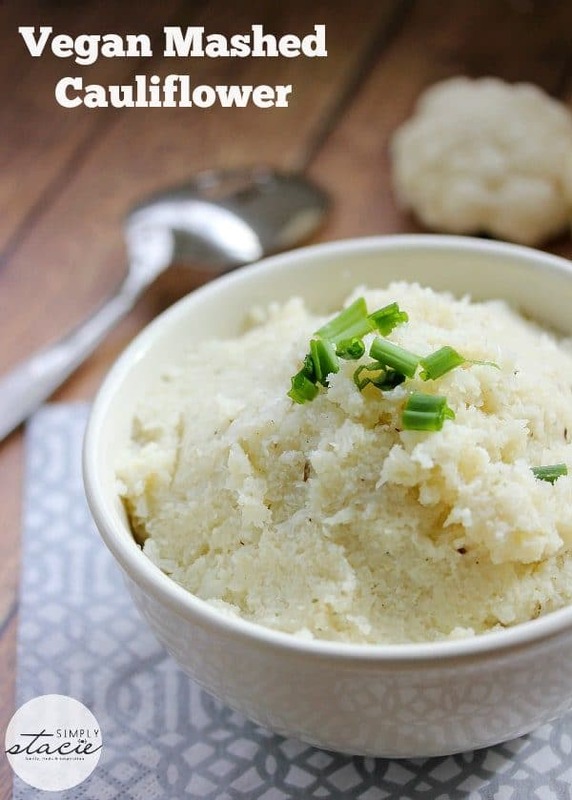 This mashed cauliflower recipe is a great addition to the traditional carb-heavy mashed potatoes at Thanksgiving. Not that I don’t love mashed potatoes too! 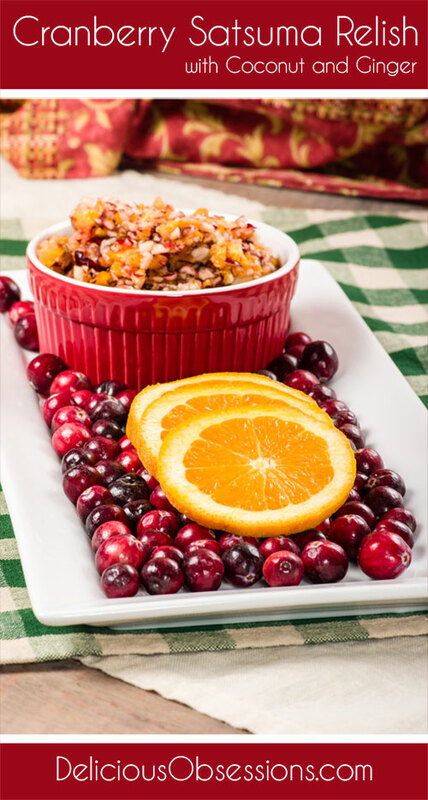 I couldn’t help it – one more alternative to cranberry sauce for Thanksgiving. And this one has booze! 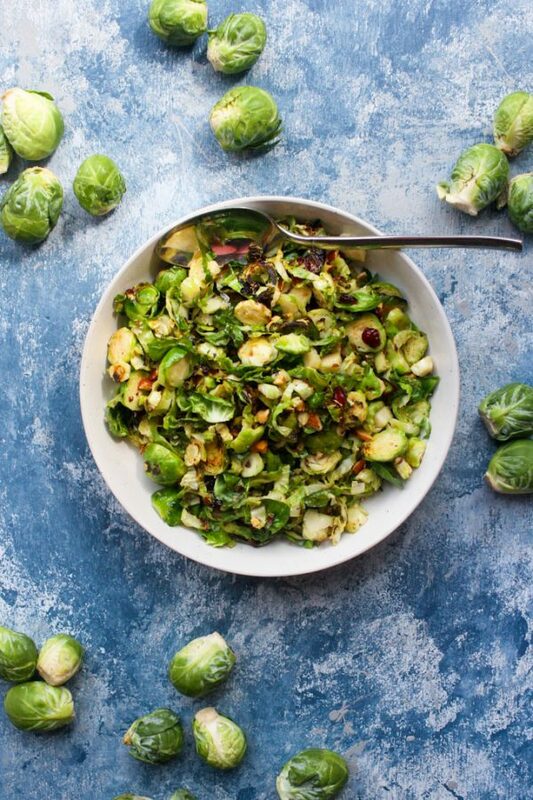 Here’s another creative way to serve those Brussels Sprouts this Thanksgiving. This salad is super easy, delicious, and extra colorful. 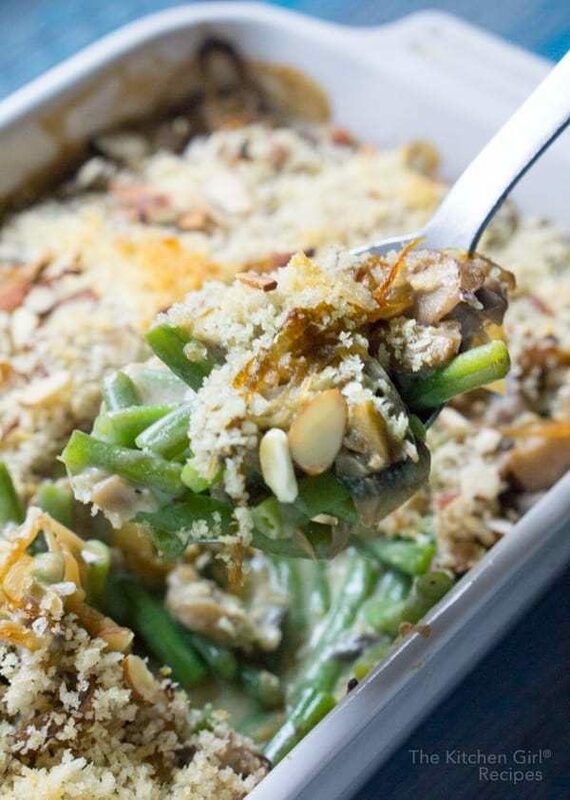 What’s Thanksgiving without a green bean casserole? This vegan-friendly version is sure to be a hit as part of your Thanksgiving menu. 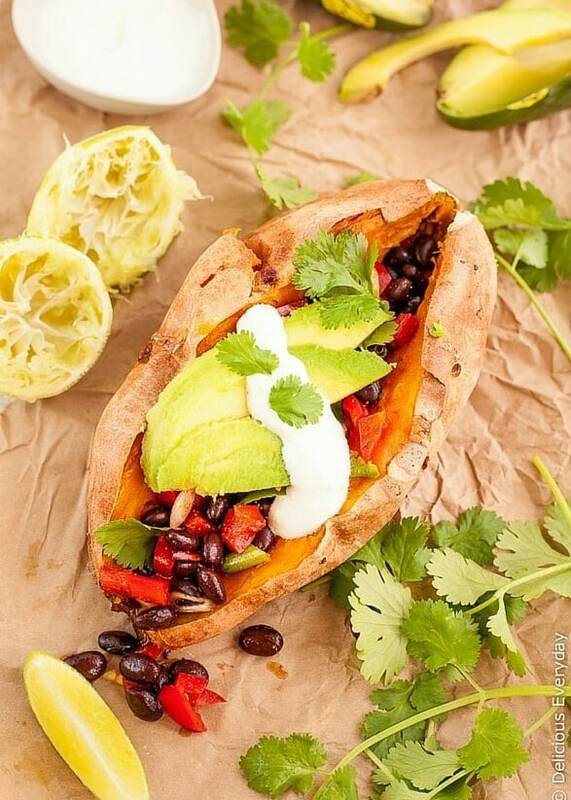 This loaded sweet potato is stuffed with a fresh and spicy black bean filling, and topped with lime-cashew cream. 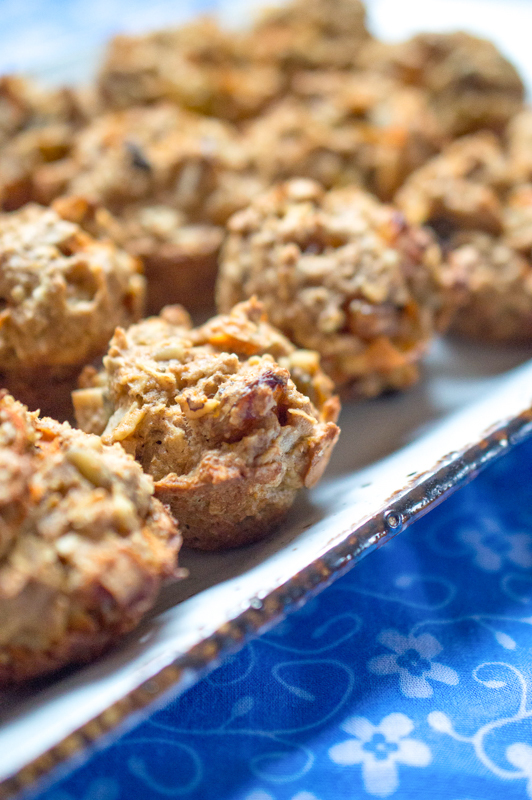 It’s easy, healthy, 100% vegan, and gluten-free! It makes a great vegetarian side dish for Thanksgiving. This easy vienetta ice cream is incredibly gorgeous- definitely worthy of being your Thanksgiving desert! And it’s actually completely vegan. 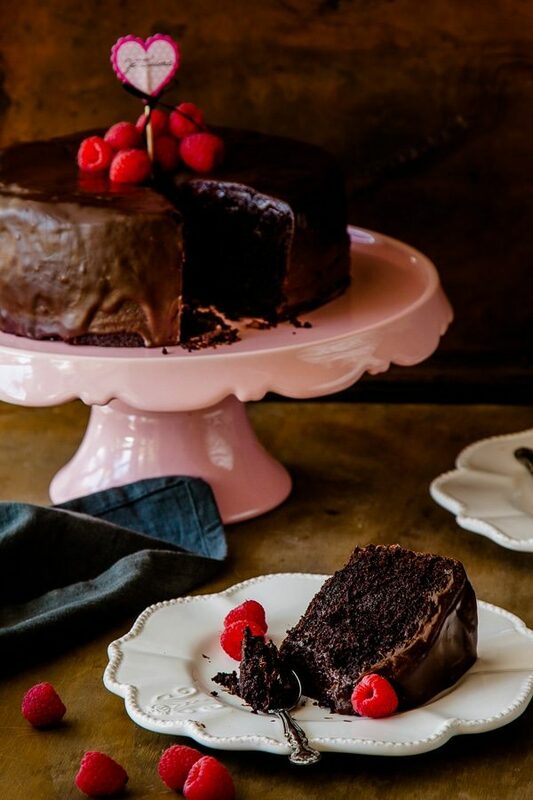 This chocolate cake is not just vegetarian-friendly, but vegan too. It’s rich, delicious, and super easy to make. In fact, it’s one of the most popular dessert recipes on the site. 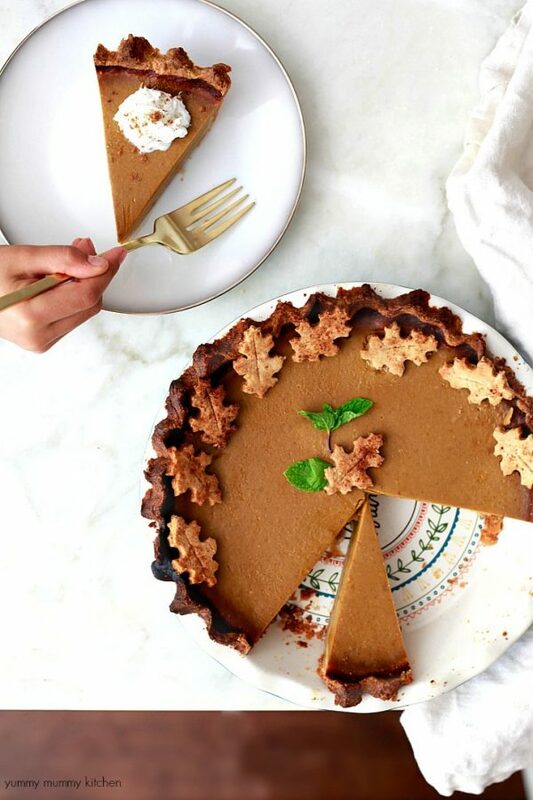 Pumpkin pie is a Thanksgiving classic, and I just love this vegan version. Bonus – it’s gluten free too! 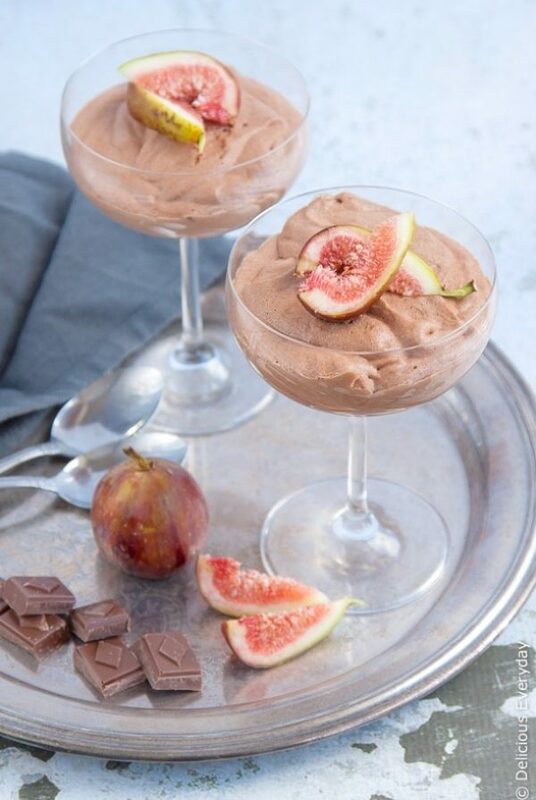 You’ll never guess the key ingredient that makes this vegan chocolate mousse so light and fluffy. Serve these in pretty trifle glasses for an elegant vegetarian-friendly Thanksgiving dessert. 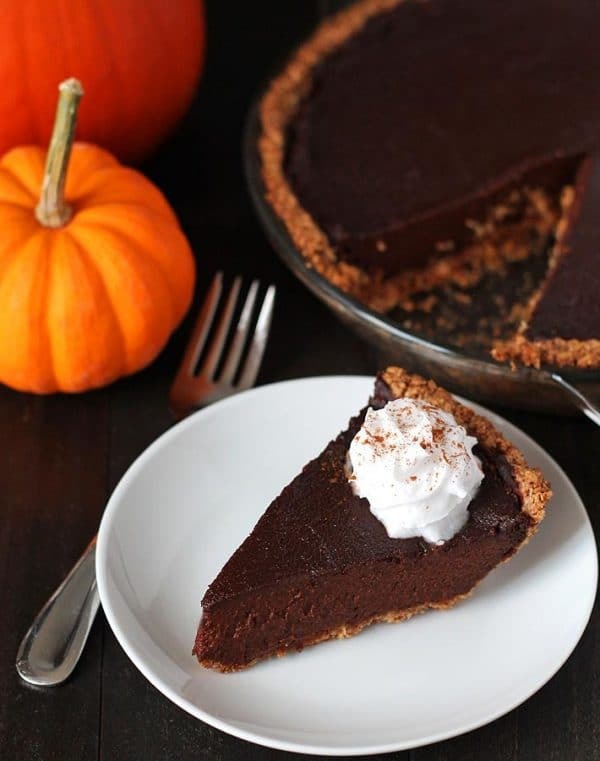 For another fun twist on the classic, check out this chocolate pumpkin pie. Because the only thing that could make pumpkin pie better is obviously chocolate. 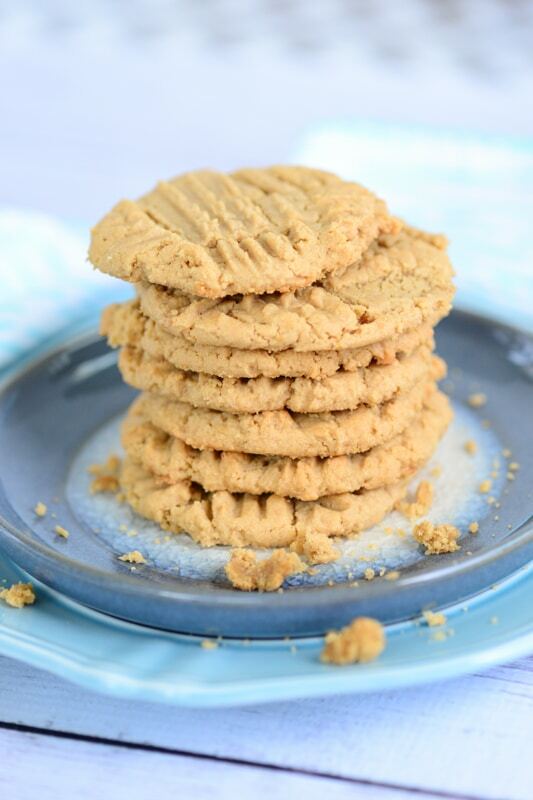 These vegan peanut butter cookies are so rich and buttery, you’ll never believe they’re vegan and gluten-free. The secret ingredient in the applesauce, which keeps them moist and flavorful. 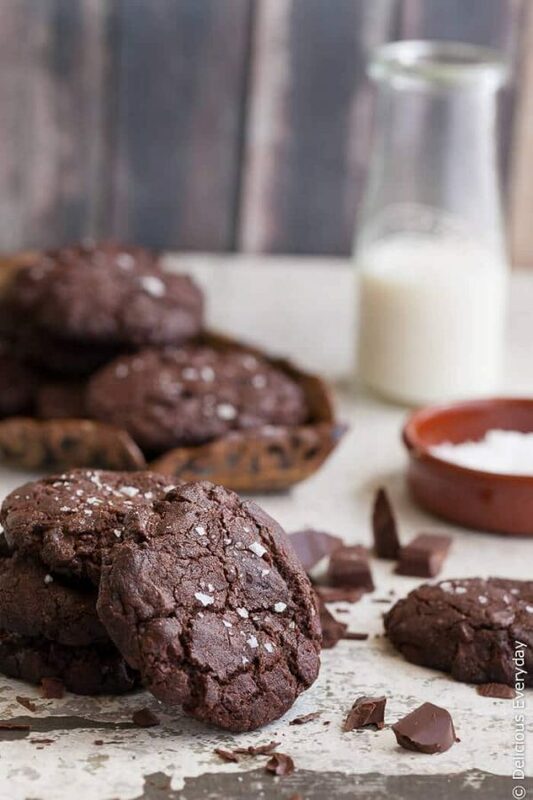 Jam-packed with dark chocolate and topped with flaky sea salt these chocolate cookies are a totally decadent Thanksgiving dessert. And they’re vegetarian and vegan friendly. 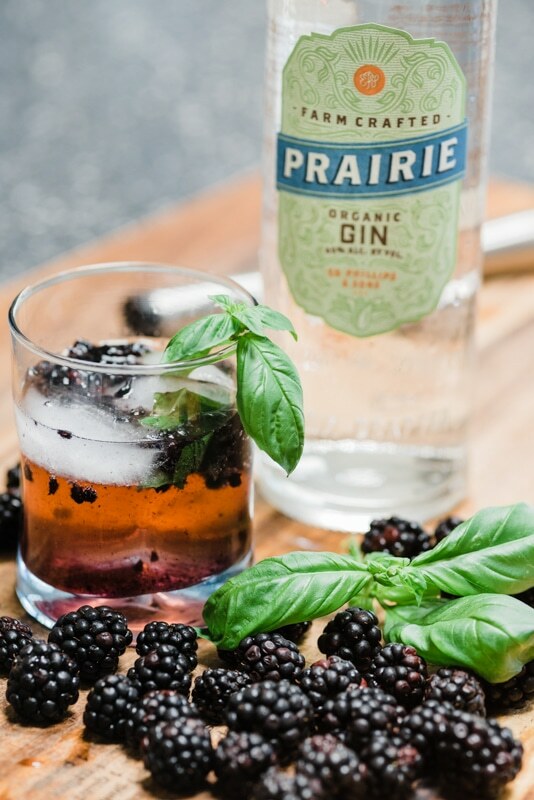 This Blackberry-Ginger Gin Cocktail is bursting with flavor from blackberries, basil, and ginger beer – yet light and refreshing for a long Thanksgiving day in the kitchen. 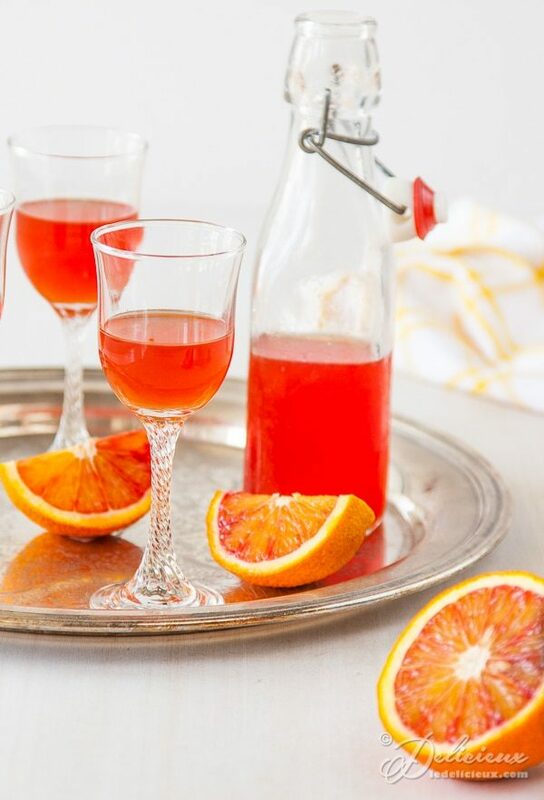 I just love the deep orange color of this Blood Orangecello, and can’t resist how pretty it would look on my Thanksgiving table! 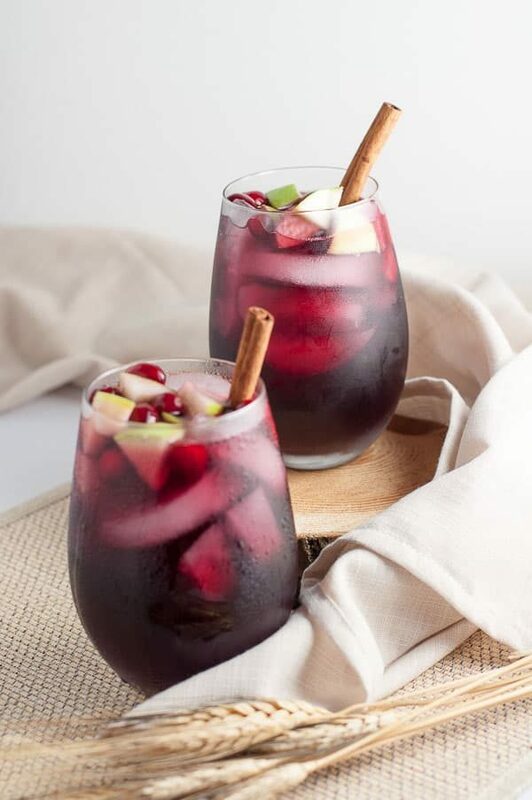 This cider is flavored with fresh cranberries and apples. This one is a crowd-pleaser for any season, but perfect for Fall! 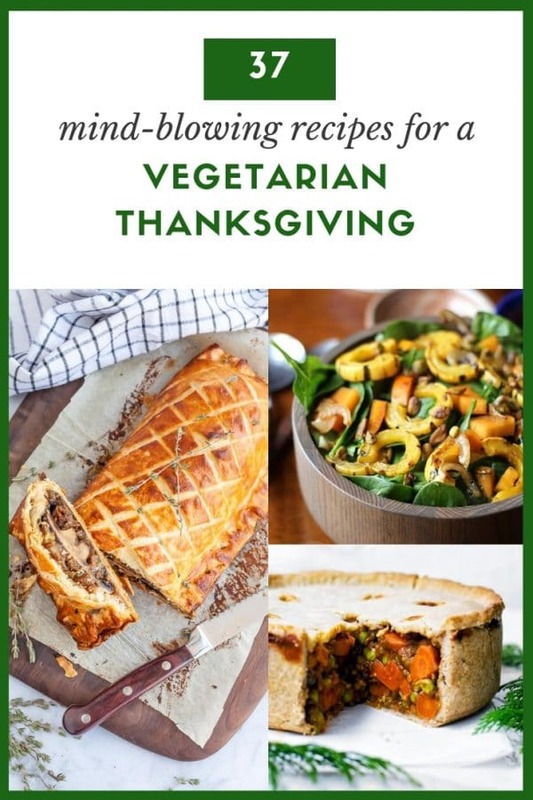 Whether you’re planning a full-blown Thanksgiving feast or just gathering with a few friends and family, I hope you’ve found some vegetarian Thanksgiving recipes that will help brighten your day. I would love to hear how your Thanksgiving meal turns out – so please comment and tell me. Or post some pictures on Instagram and tag me @deliciouseveryday. Happy holidays!